St Joseph Basilica Webster is a unique sacred edifice on the geographical landscape of New England. Its neo-gothic structure and rich artistic internal decor signify the dedication, pride and faith of the ancestors. As we enter the bronze doors of this unique House of God, we find ourselves in a sacred environment where we experience His transcendent power. The interaction of art and light, the symmetry of lines and shadows, the graceful colonnade, and the monumental and decorative marble columns impart a sense of stability, security and permanence. The intricate religious mosaics, and the vibrant colors of the renaissance murals with scriptural scenery make visible to us the timeless history of our salvation. 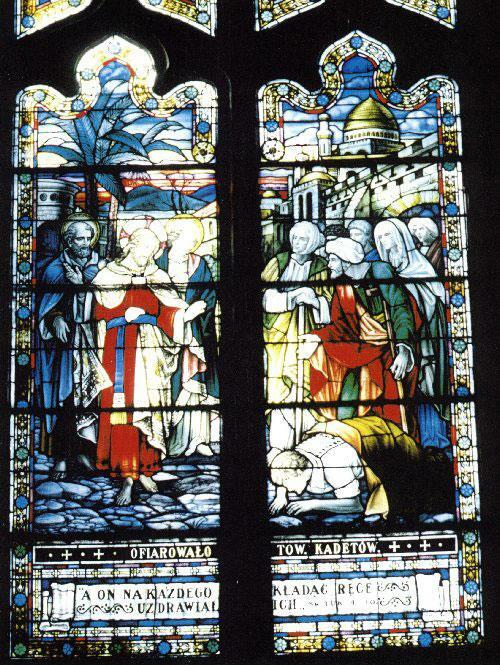 Our attention is captivated and inspired by the brilliance of sunlight cascading colorfully through the magnificent stained glass windows depicting the life of Christ. The power of the enshrined gospel message, the imposing presence of the Eucharistic table, but above all, the tabernacle majestically enthroned in the sanctuary, create an ambiance of reverence and prayer. Each basilica is entitled to have it’s own coat of arms. The unique Coat of Arms of St. Joseph Basilica signifies its allegiance to the Vatican and the Diocese of Worcester and reflects on the tradition of the parish. The top portion of the Coat of Arms depicts the ombrellino, which is the symbol of a basilica. The keys represent the jurisdiction of the Holy Father to whom the basilica belongs. The red and white colors of the shield represent the Polish national colors, while the eagle is a symbol of our country. The carpenter’s square located on the red base represents St. Joseph, the patron saint of the parish. The red plate was chosen to identify with the colors of the Diocese of Worcester, Massachusetts. The motto in Latin “In Caritate et Unitate” (In Charity and Unity) beautifully describes the mission of the St. Joseph Parish community. 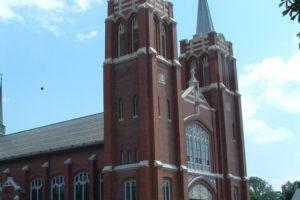 St. Joseph Polish-American Parish, although an ethnic community, is integral part of the Catholic Church in the United States and participates in its mission. 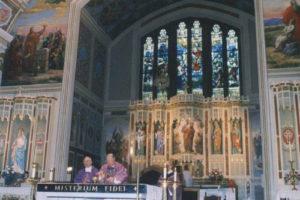 It is the oldest Polish-American parish in New England established in 1887. Immigrants from Poland arrived to this part of the United States after the country failed to win its independence in the January Insurrection of 1863. 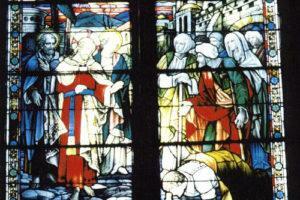 The new immigrants initially attended masses at St. Louis Church assisted by the Polish clergy from the state of New York. 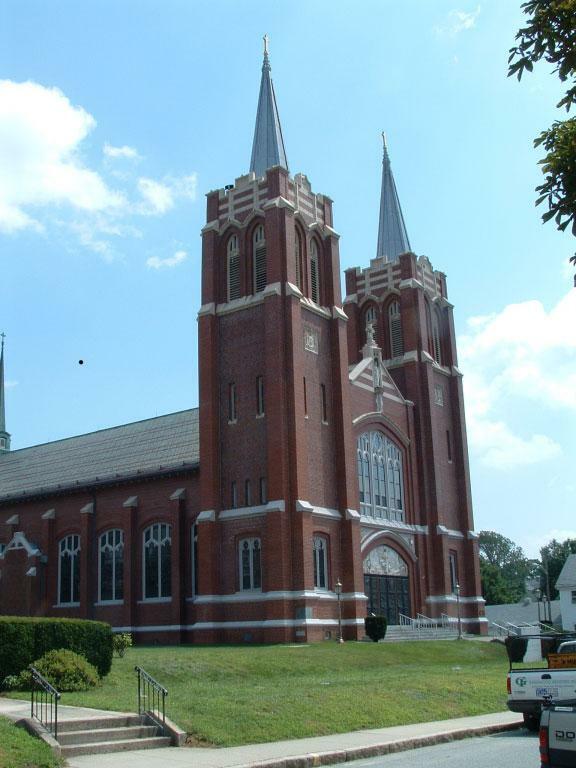 As the number of immigrants grew they desired to pray and participate in divine worship in their native language and with the permission of the bishop of Springfield, MA, a new parish was organized in 1887. The first pastor was an alumnus of the Orchard Lake Seminary, Father Chalupka. Through the generosity and hard work of these first immigrants Father Chalupka was not only able to pay off the parish debt but also purchased land to build the parish school which opened in September 1892 staffed by the Felician Sisters. Recognizing the need for a final resting-place, land on Worcester Road was purchased for the parish cemetery in 1903. Father Chalupka remained Pastor of St. Joseph Parish until 1908. Some of the successive pastors in these early years were Fathers Stanislaus Laczynski, Wenceslaus Lenz, and the Franciscan Fathers: Tarnowski, Czelusniak, Bok and Jaskulski. In July 1935, Bishop O’Leary appointed Msgr. Dr. Andrew Lekarczyk as pastor, who completed repairs on the parish facilities and reduced the debt by several thousand dollars. During his time the parish grew in pastoral, social and cultural activities. He expanded St. Joseph Cemetery by acquiring an additional 25 acres on Worcester Road. 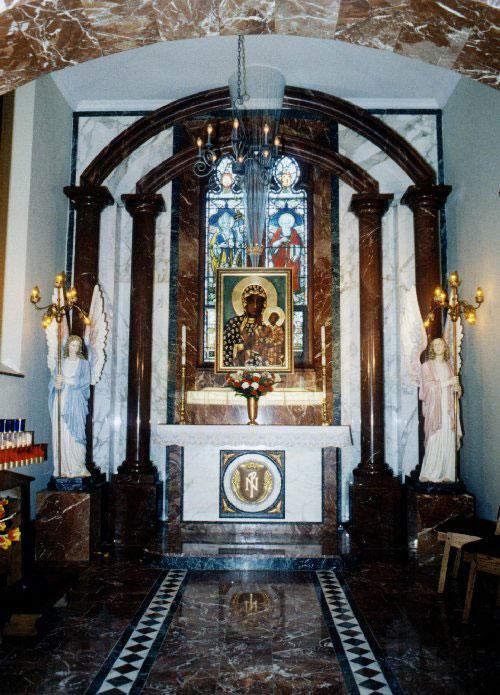 In 1993 Monsignor Anthony Czarnecki replaced Father Stachura who was transferred to Our Lady of Czestochowa parish in Worcester, MA. 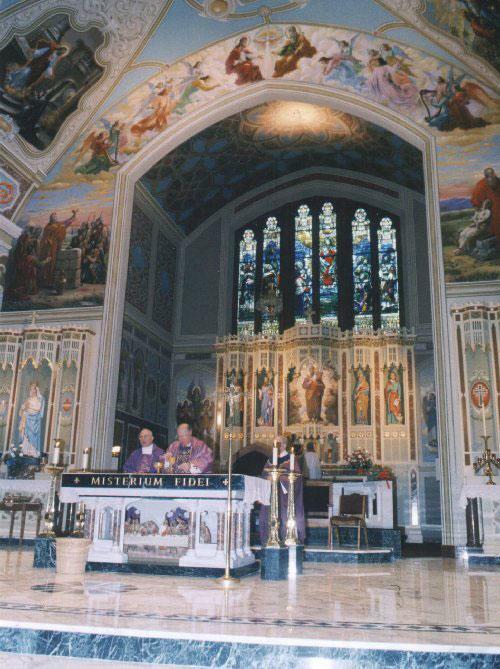 Almost immediately after his arrival, Monsignor Tony initiated a monumental campaign to renovate St. Joseph Church. St. Joseph Basilica is afforded the privilege to display its artistic distinctions in the sanctuary. The umbracullum or in Italian ombrellino, which has the shape of a canopy, was formally carried over the Pope when the papal entourage was made using horse and carriage. It is made of red and yellow material with decorative ornaments and the papal insignia. Also displayed are bells affixed to a staff symbolizing the bells, which were formerly used to alert the townspeople of the Pope’s arrival. 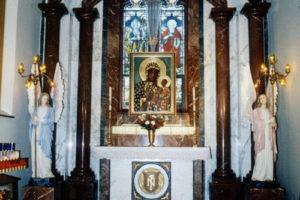 Saturday: (Sunday Vigil) 4:00 p.m.
Rosary / Saturdays at 3.30 p.m. In the month of October Monday, Wednesday, Friday – 7.00 p.m.
May Devotions Monday, Wednesday, Friday – 7.00 p.m.
First Friday – Adoration: 7.30 a.m. – 3.00 p.m.
Chaplet to Divine Mercy. 3.00 p.m.
Divine Mercy Novena First Sunday of month – 3.00 p.m.
Fatima Devotion 13th of month (V-X) – 7.00 p.m.